Upni Duniya is the perfect venue for glamorous, intimate events. Our exclusive combination of privacy, outstanding cuisine and exceptional service, will create a truly memorable experience for you and your guests. We can accommodate up to 20 residential guests and an additional 100 visiting guests. Contact us to plan and customize your next retreat! 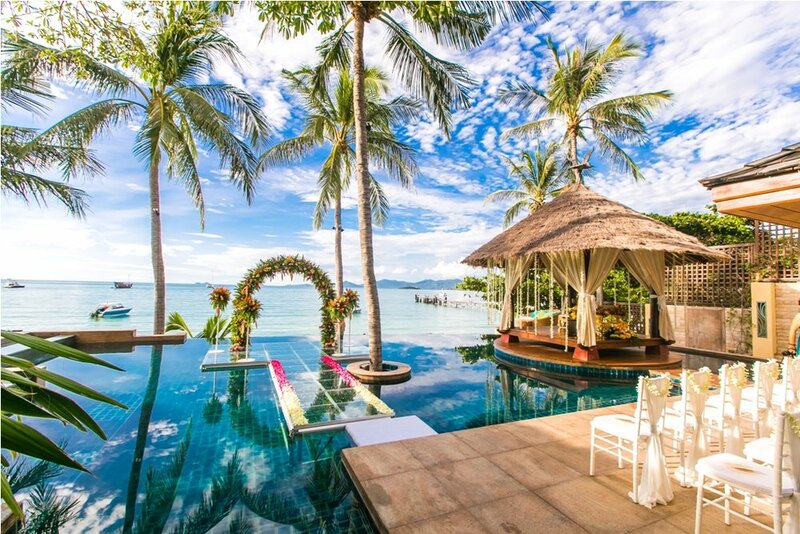 Upni Duniya can make your dream of an idyllic beach wedding a reality. With a decade of event planning and logistics experience, our team can personalize every aspect of your special day. From transportation and accommodations to entertainment and cuisine, our team will go above and beyond to make your day seamless. Indulge your senses and rejuvenate with a selection of world-class spa treatments and yoga sessions tailored to your personal preferences. Our team can book you at any facility on the island or you can enjoy treatment from the comfort of an Upni Duniya beachside cabana. Upni Duniya offers all the amenities and services needed to facilitate a professional, yet casual, working environment. 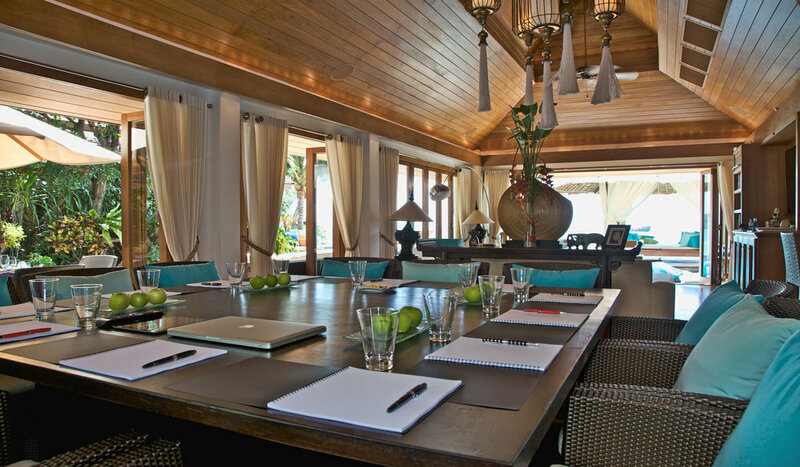 With state-of-the-art meeting areas overlooking the Gulf of Thailand and top of the line media equipment, we have it all. We also offer exclusive access to the world-renowned Santiburi Samui Country Club, recognized as one of the most beautiful golf courses in Asia.